Edgard Andrés Zúñiga León - York found out about TU Delft completely by accident, via a video on YouTube about the Ocean’s Clean Up Project. When he arrived at TU Delft, he was the only Nicaraguan student enrolled at the university. In fact, he was the only Latin American student in his year at the MSc programme. But, despite that isolation, Zúñiga has found his way at the university, in part by founding LATITUD, the Latin American Student Association of Delft. 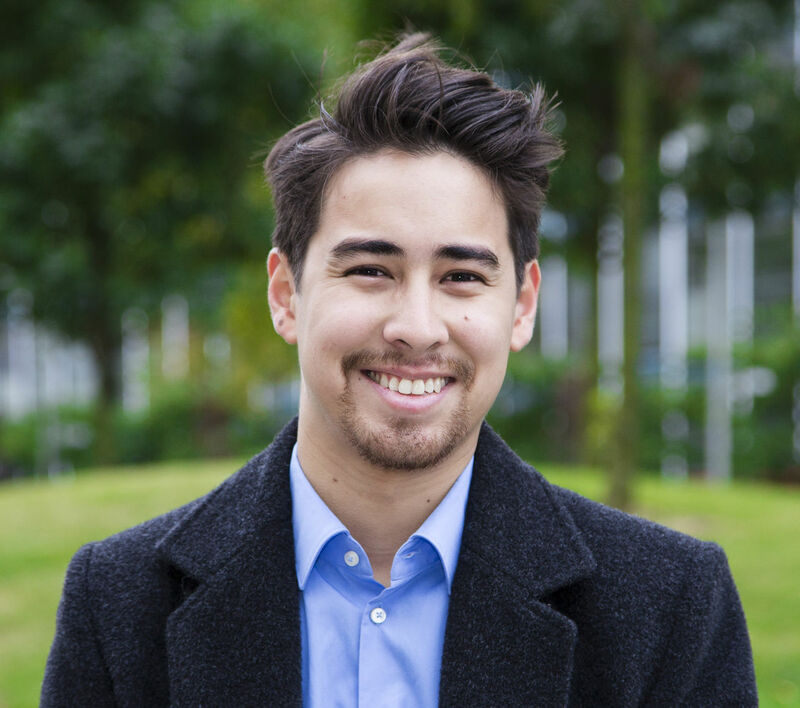 As he settled into life in Delft, Zúñiga, who earned his BSc from the Kun Shan University in Taiwan before moving to the Netherlands in 2016 to pursue a master’s degree in Transport, Infrastructure and Logistics (TIL), discovered just how important student associations were to university life. “At home, things are organised in a much more top down manner,” he says. He attended a meeting for Dispuut Verkeer, the student association for a number of the master’s programmes at the Faculty of Civil Engineering, and accidently signed up to be a part of the magazine committee. “I just filled out a form at the registration table and I ended up writing for the magazine,” he says. The first meeting had around 35 students of various nationalities and initially operated without official recognition. But, Zúñiga soon realised that for the group to be successful, it would need more structure and that included formalising LATITUD’s status. Zúñiga used his experience and connections with Dispuut Verkeer to set up the legal and financial aspects of the association. On March 1, 2016, LATITUD became an official student association at TU Delft. LATITUD aims to bring all Latin American students at TU Delft together, both for social events as well as for professional development. “Unlike the Italian or the Indian students, there aren’t enough students from a single Latin American country to support an association. With LATITUD, we can support each other. And get a break from speaking English,” jokes Zúñiga. The group hosts a variety of events, from professional networking evenings to culturally-focused parties. In the past, they have hosted Dia de Los Meurtos events (or Day of the Dead, a holiday celebrated in Mexico and throughout Latin America) and a Peruvian culture night with food and dancing indigenous to the country. In the future, the group aims to formalise their relationships with other Latin American groups in the Netherlands and other organisations associated with the Latin American community. Name: Edgard A. Zuñiga L.
Former University: Mechanical Engineering at Kun Shan University, Tainan, Taiwan R.O.C.